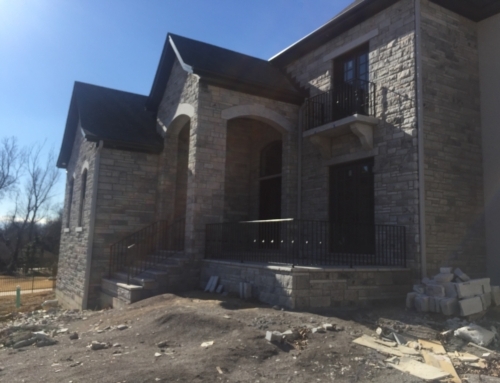 This is an exterior shot of the finished project that showcases the balcony and railing. 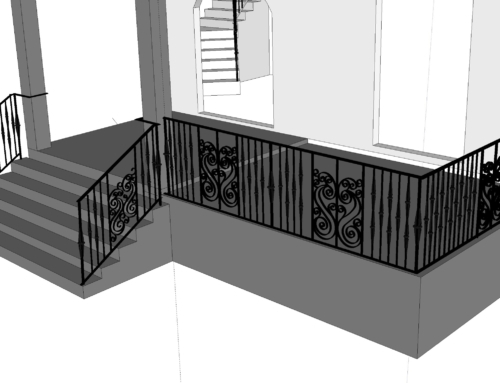 This is a head-on view of the exterior landing and the balcony railing. This is from upstairs looking out across the interior railing. This is a shot from the ground level looking closely at the interior stairs. Fire and Iron did not build the wooden portion of the railing, all of the iron work was done by F&I and fitted within the wooden rail cap. This shot was taken from the ground looking up at the interior railing at the point where it connects to the stairs.